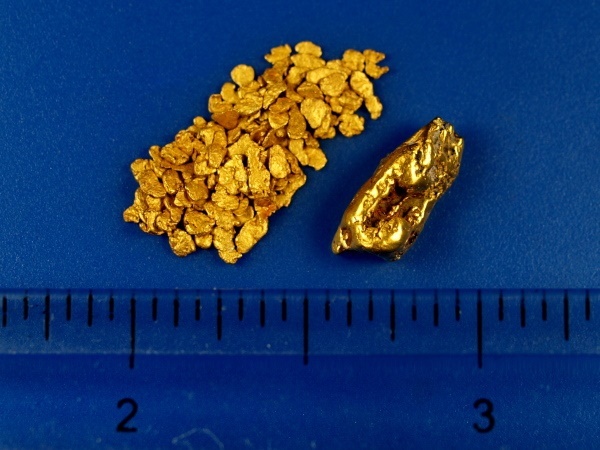 Here's a nice collection of gold nuggets from the Fairbanks area. One bigger nugget and a batch of smaller "pickers." Their combined weight is 4.00 grams.